Cuts in Frame - What was there? 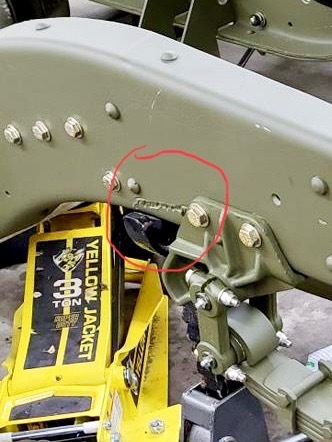 On our two halftrack frames, I noticed two small torch cuts in the same spot. We were curious, but didn't think too much about it. Then, I came across a picture of somebody's halftrack on this forum. And I noticed the same cut in the same spot. I can't remember who it belonged to, but I think Shon reached out to them and they didn't know what it was from. Then, I came across another picture that showed something was installed at that spot at one time and they must have been torched off. Below you can see our two tracks and one of y'alls with the cuts. Then the last picture shows something installed there. Something mounted in that same spot. Re: Cuts in Frame - What was there? 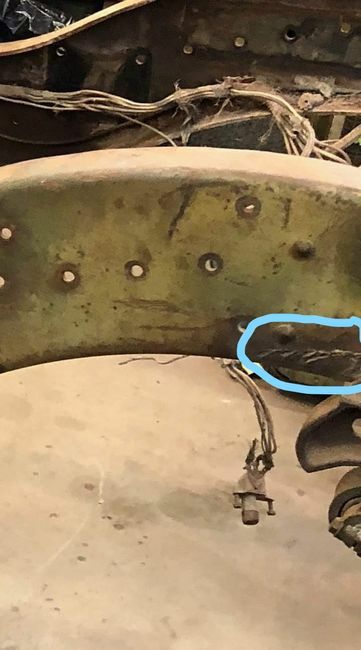 I believe that is where the early leaf spring hanger attached to. My understanding of that is a spring stop. Your last pic is the early type, the others are the later type stop. I have the same on mine which was rebuilt by B&M. I will check my 1941 M2 to see if the stops are still there. 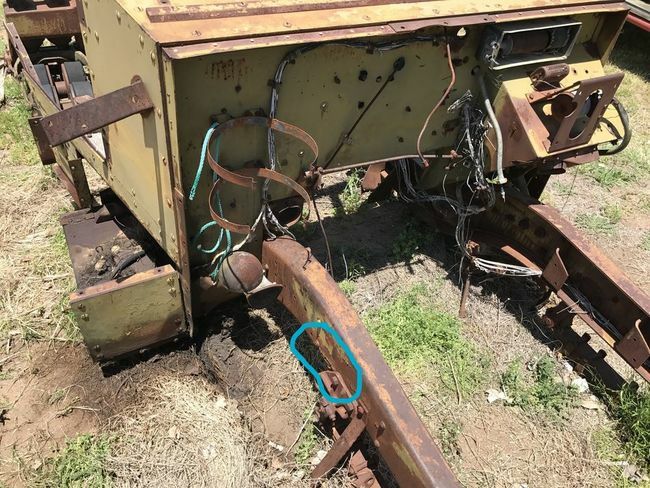 It never went through a rebuild. Checked and mine are also still in place! Yup, that is my halftrack that has the cuts like Shon's...now we know "the rest of the story"
Do I hear Paul Harvey?? I miss those stories. Thanks for all of the info folks. This seems to wrap up the debate with a definite answer. It's nice when a clear and definitive answer is found for something on these trucks. I miss hearing Paul Harvey. His voice brinks back memories of me riding with my dad in his work truck when he would be listening to him.